Private investigators use case management systems (CMS) or case management software to manage information related to their cases, clients and employees. Using systems such as PI DirectLink helps private eyes stay organized and operate more efficiently. The more modern CMS tools are cloud-based (web-based) so they can be accessed from any device with an internet connection. Cloud-based systems also protect against data loss in cases where a device is lost or a hard drive fails. Following is our review of a CMS called PI DirectLink, created by the Tayva Group LLC. It was recently acquired by CROSStrax. PI DirectLink is a secure, web-based case management system that is designed specifically for the investigation industry. The system provides case management tools that agencies can use to store and share case information, client records, employee records, reports, notes, images and video, and more. Dashboard – The dashboard provides a quick snapshot of system activity. From the dashboard, users can see pending notes, a list of cases, and a calendar. Cases – From the Cases drop down menu, users can create a new case, view a list of all cases, and view a list of active cases. In addition, users can reopen a previously worked case. Case information includes subject details, photographs, vehicles, reports, videos and much more. Client Access – A great feature that PI DirectlLInk provides is the ability to grant access to clients, employees and subcontractors to facilitate communication about a case. This helps reduce back-and-forth email messages and ensures that information is stored in one location, instead of in multiple mailboxes and on multiple devices/PCs. Client Lists – This feature allows you to view a list of current and former clients. PIDirectLink allows you to export information from the system to a spreadsheet, PDF, contact management system or e-mail marketing program. Employee Management – This feature allows P.I. agencies to record employee information within the system including hire and termination dates, contact information and license information. Agency managers and owners can make notes about employee performance and quickly prepare for an employee’s salary or performance review. Vendor Management – Just like any company, investigation agencies deal with a variety of suppliers. The PIDirectLink system can be used to manage information related to vendors or subcontractors, including license information, copies of insurance certificates and agreements. Calendars and Scheduling – The calendar feature helps you manage your caseload more effectively. Use the scheduling feature to schedule cases for your employees and quickly see which cases are being worked on, and when. The calendar can be configured by Day, Week, or Month. The calendar will display case assignments, off days, sick days, and vacation days. Case Updates & Notes – Use this feature to enter notes related to a case at anytime. Each note is stamped with the date and time along with the name of the user who created it. When a case is reopened, all of the previous cases notes are transferred automatically and available for review. Photos & Videos – This case system allows users to upload both photos and videos of subjects. In addition, clients can login to see photos or watch videos as well. Investigative Reports – The system allows you to quickly run reports stored for any case. Search Feature – The system has a helpful search feature that allows you to search across all information and data in the case management system. This is a great feature and can be a real time-saver as the amount of data and info grows over time. The print case and case sheet details PDF has a new design that provides users with a hard copy of the information they need in the field. A knowledge base and forum is now available to assist users with common questions as well as links to specific tutorial videos. The signup process is simple and straightforward and takes less than two minutes to complete. To begin, go to www.pidirectlink.com and click on the “Start Free Trial” button. A simple startup wizard walk you through the initial setup process. The wizard helps you upload a logo to customize the system for your company, setup a client, enter an employee, and add additional information. The free trial is good for 30 days of free access. After the trial period, you can sign-up for a variety of plans that range from $25 to $199 per month. If you have problems with the system, or need technical assistance, contact Support@pidirectlink.com. 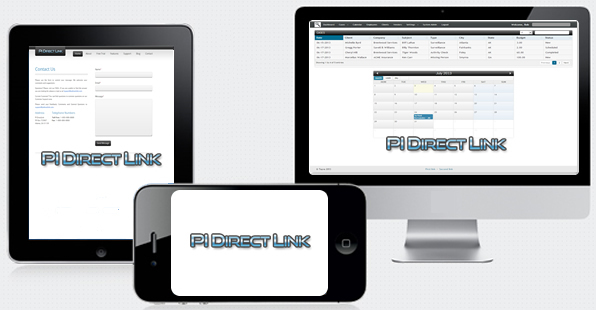 For more information about PI DirectLink, visit the website. Also, you may leave a comment below. eInvestigator.com will review your online system or software and post a review on our website. If you’re interested in having us review your system, send us an email a webmaster@einvestigator.com for more information.